Israeli Prime Minister Benjamin Netanyahu defiantly responded to corruption charges Thursday after Attorney General Avichai Mandelblit announced that the prime minister had been indicted. Netanyahu gave a speech after the announcement and took a page from President Donald Trump’s playbook, calling the two-year investigation into his conduct by the Israeli police a “witch hunt,” according to The Jerusalem Post. Mandelbilt announced that his office was charging Netanyahu with two counts of fraud and breach of trust and one count of bribery. Police allege that the prime minister accepted “gifts” from billionaires, had a “bribe-based” relationship with Israeli tech giant Bezeq and offered legislation that would have benefited one of the biggest newspapers in the country in exchange for positive coverage, NBC News reported. “I’ve never seen the Left so happy,” he continued, saying they are “sewing suits” in expectation of replacing his position. “I plan to continue serving you as prime minister for many more years, but it’s up to you, not the bureaucrats or the commentators and reporters. Don’t let the witch hunt confuse you,” he concluded. Trump and Netanyahu have had a very positive relationship since the president took office and declared Jerusalem the capital of Israel. 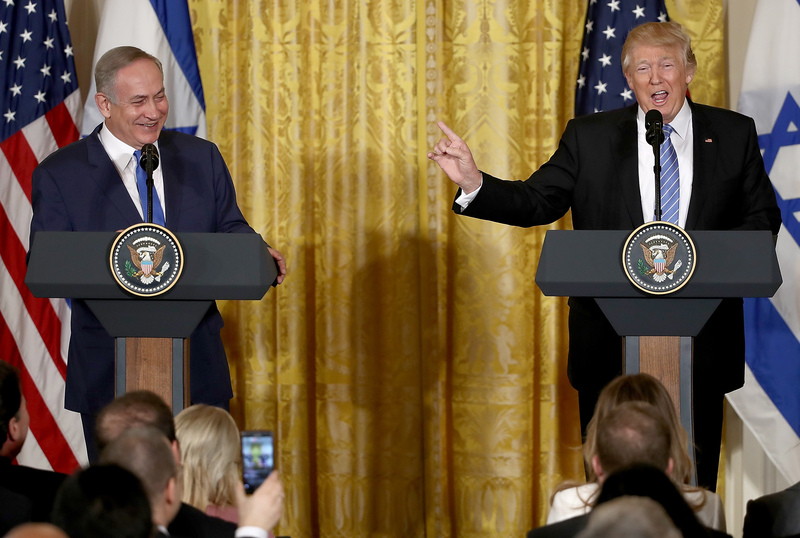 The prime minister has visited the White House and praised Trump for his actions in Israel, even going so far as to compare the president to King Cyrus the Great, the Persian monarch who allowed the Jews to return from their Babylonian captivity.